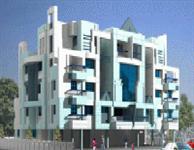 Looking for a property in Shivaji Nagar? Have a property in Shivaji Nagar? Shivaji Nagar near Nasik pune road is prime & central location o Nasik in view of main city, Industrial area of Satpur, Ambad & Sinner. It also 10 Km away from proposed ozer Air port likely to be start from next few months. All National high ways likeo Mumbai, Pune , Indore & Aurangbad are only 2 to 3 km from property. New Aurangabad ring road is in front of property. Easy accessability every required distinetion. Banks,School, Bazar are in 2 km vicinity. Under development hence open plots in front of property. Shivaji Nagar, Nashik is rated 6 out of 10 based on 1 user reviews. Have a good knowledge of Shivaji Nagar? Share it and become a Locality expert. Plot available in Jalalpur, Nashik!